I bumped today into the www.brainpickings.org website which seems very interesting. Having said that, let me just clarify that I haven’t really explored it yet, I have just glanced over some articles, but they were all interesting. Good start for a new fav website! Anyway, it had two articles about Jean-Paul Sartre and Simone de Beauvoir. 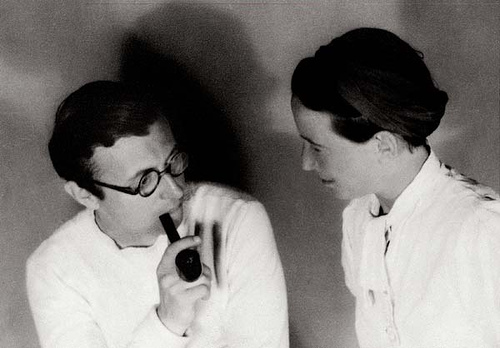 Sartre and Beauvoir had an open life long relationship that was intimate yet at times had space for other lovers to home in…. Here are links to reviews by Maria Popova on two books that give insight into these literary lovers’ way of love; one being a collection of his love letters to her and the other a collection of women’s breakup letters, including some of Beauvoir’s to her various lovers. I had to share two of their quotes, one from his letters to her and the other from a breakup letter written by her to one of her other lovers, found on the above mentioned books (via links)…. “I can still feel warm and happy and harshly grateful when I look at you inside me”. “The poet’s mind toils between substance and the void. Darwin, Charles (1859)On the Origin of Species in From So Simple a Beginning: The Four Great Books of Charles Darwin. Edited, with introductions, by Edward O. Wilson. W. W. Norton & Company. New York, 2006. William Noel (curator, rare book scholar) makes this fascinating talk on TED about the recent discoveries lying under a byzantine manuscript. As we quickly understand from his speech, in the past it was quite common to re-use paper in order to make new manuscripts. In a byzantine manuscript which was re-discovered in 1906, its then owner found that on some pages, underneath the Christian prayers and illustrations, there was earlier text from… Archimedes! This manuscript was bought at the end of the 20th century by an, obviously wealthy, man whose ambition was to discover, preserve and share this barely surviving treasure. It is so beautiful hearing about a contemporary individual who buys a treasure not to store it away but to fund its conservation and its data distribution. It is also beautiful to hear about such diverse people making up a team and use old & new technologies to bring to light parts of the archeology of human thought, knowledge and wit. I am startled by the power, creativity and freedom that imagination gives us access to. Startled not so much because through imagination we can escape reality, but mainly because it functions differently on all individuals but it gives us all the possibility to experience events and emotions, or to explore territories that are normally impossible (or just hard) to reach in our ‘real’ life. In this sense I really liked Woody Allen’s latest film “Midnight in Paris“. It had the same old Allen structure but it didn’t have a ‘punch’, therefore I wouldn’t say that it was a great Woody Allen film. But I loved how Allen used the possibilities that the film medium provides to follow his dream and ‘transport’ himself back in time so that he could enjoy ‘in vivo’ the company of his cultural heroes, people like Elliot, Hemingway, Picasso, Lautrec, etc. How liberating is that? It is in this very same way I am amazed by all kinds of imaginative people, be they artists, scientists or whichever tag one may carry. I find it absolutely inspiring how they let themselves loose in their personal strands of thought to explore and hopefully communicate their interests and fascinations. Sometimes, via their travels in their wonder-worlds, we get to understand some things or some people better. This is how I felt about a book I read a few years back, “The Paper House” by Carlos María Domínguez. This book was given to me by my dad, a true ‘bookophile’. I’m not sure I remember the story correctly but what has stayed with me is that it is a short story Domínguez came up with about a book collector, named Carlos Brauer, who accidentally destroys the taxonomy index of his collection. Losing this key ‘navigation tool’ for his collection has a mirroring parallel effect on Brauer himself and his ability to keep an order in his life and to maintain a sense of self. By losing his taxonomy ‘manual’ Brauer therefore progressively loses his ability to keep his interests distinct from his actual self. The endless options of categorizing his interests now live only inside his head and inevitably he and his collection become one, they have a common and inseparable life. To illustrate the inevitable collapse of any useful distinction between the person and his interests, the author makes his main character, Brauer, build a shelter out of his very own books to live in, as a last resort. In his delusion Brauer sees this solution as his only way to “protect” his collection and his sanity, which are ultimately one and the same thing. His books become the bricks and insulation material that make up his home. Weather and time give a physical appearance to the psychological conditions that now dictate their common fate. The book I think suggests that a collection without a taxonomy system is to a collector what life is to all of us without access to our thoughts and love(s). For anyone who has been close to a book lover can feel very touched by the struggles of this man to care, protect and keep control of his world. For anyone who has felt at any point that they are losing their references in life, this character’s misery is suffocatingly real. By no means do I think this book to be a masterpiece, but it is a short and sweet story. My immediate response when I read it, if I remember correctly, was feeling for the condition of the books more than that of the man. It surprised me that the book ‘stayed with me’ till my emotions went out to the man. Which means, that my first reaction was to hold the man responsible of his own fate and see his books as victims. Only later, when I had finished with being a reader of the book and I had become a ‘carrier’ of the story, did I see the collection as a material manifestation of a person’s endless journeys in his inner precious wonderland. Having been given this book by my ‘bookophile’ dad I have always wondered if this is how he feels. I could not remember the name of the author or the title of the book till now that I googled it, but I could remember this: an intimate, silent and secret relationship between a book lover and his books. Of a father and his children. A story that makes a collector’s feelings your own and hopes to make you see more of the man amidst his collection. Cunning…. Last year I travelled to India. I hadn’t planned or dreamed about this trip much, so just as I was on my way there I took some books with me that would hopefully help me make sense of the place. One of those books, apart from being informative, I thought it was also a very delicate and appreciative survey of the fabric(s) that make up this deeply devotional society. 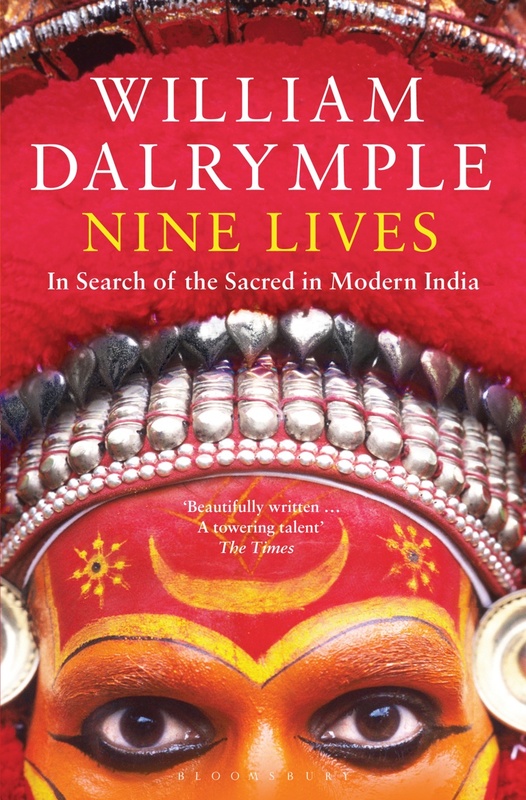 The book is titled “Nine Lives: In Search of the Sacred in Modern India” by William Dalrymple. Dalrymple is a British (Scotish) travel writer, historian who lives in and obviously loves India. This book is a collection of stories that portray the different religious and spiritual traditions that are active in today’s India. Each story concentrates on specific people and their traditions. 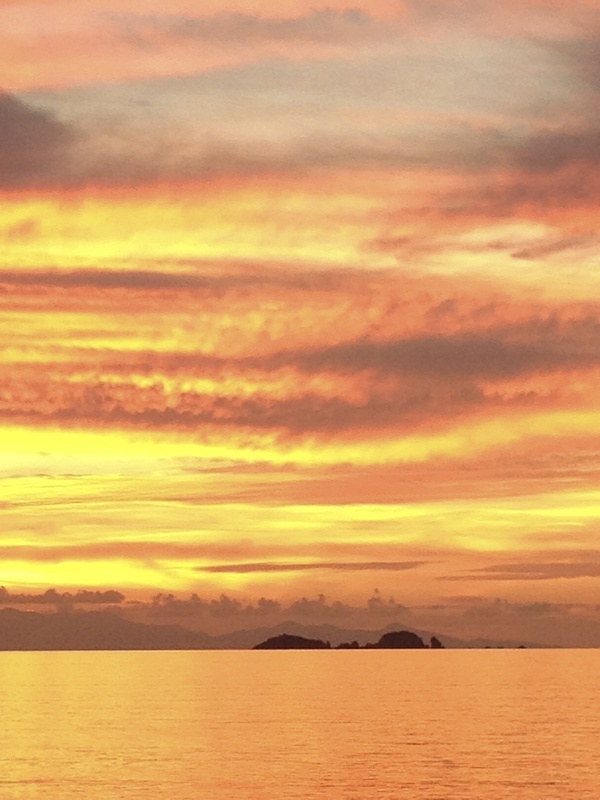 His observations and remarks assist you in connecting the dots between what you may see in your travel with the traditions or rituals these manifestations refer to. Of course India is a different experience to different people, but I loved his storytelling style and I felt that it really helped me understand the various heritage inputs that inform the people’s modern life. In India you cannot help it but feel that you are in a place where nothing ceases to exist, while at the same time new approaches are always welcome. Age long regional traditions and norms function hand in hand with modern style interconnectedness, old kingdoms are proud members of the relatively new Republic of India, meditation practices support civil servants’ performance, excellent train services transport people of all ages and castes to far away religious festivals, traffic chaos is met with a grin on drivers’ faces. In that sense spirituality there is almost tangible. In the sculpture of Cholas, and those like Srikanda [sculptor] who have kept its flame alive in the Kaveri Delta ever since …[m]ore than in any other Indian artistic tradition, the gods here are both intensely physical and physically gorgeous. The sensuality of a god was understood as an aspect of his formless perfection and divine inner beauty. Here the final climax of worship is still to have darshan*: to actually see the beauty of the divine image, and to meet the eyes of the god. Darshan: a sighting, a glimpse, or view, especially of an idol of a deity in a temple, or of a holy or eminent personage. Puja: a religious devotion (‘lit. adoration’). After I finished reading these excerpts in class my teacher, John Pack, told me that this is what he wants to see in my images and work. I have really only felt like that for one image so far, the rock, where I felt that everything is in its place in completeness, allowing me to frame it and process it as an image; for a fine rendering is an act of devotion. I am still not happy with my test print. I will keep on working on the image till it matches what I felt I saw. 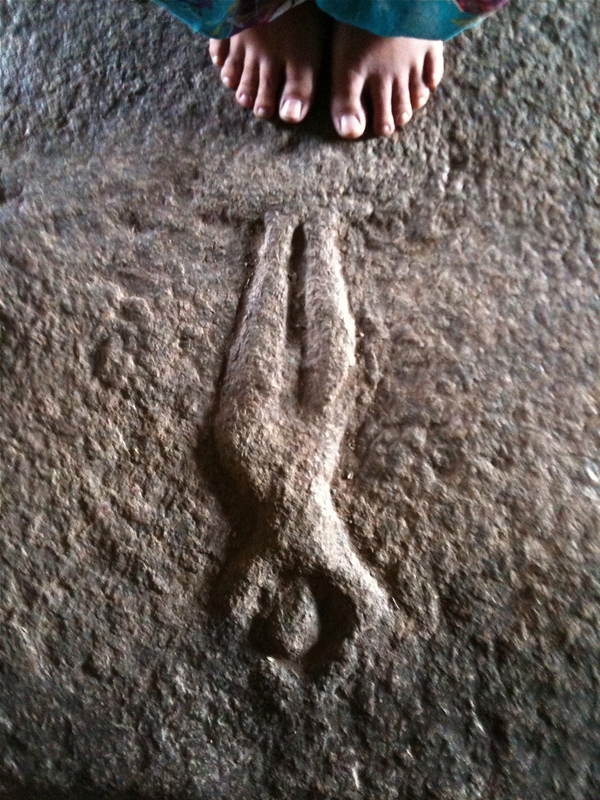 In other words, this image as a photograph is still in the temple.